Welcome all new and old members! Welcome to the Philadelphia Pen Collectors website. Our main interest is in fountain pens. That’s modern fountain pens, vintage fountain pens, fountain pen history, fountain pen ephemera, fountain pen ink, and the use and enjoyment of fountain pens. Collectors of pencils, ballpoints, dip pens and other writing instruments are also welcome. I appreciate your help with this effort to create a family keepsake which will keep my dad’s memory alive and to show to our children when they get older. Once announced, See the “Upcoming Events” page for more information and to RSVP. See the “Past Events” page for photos and descriptions of previous meetings. 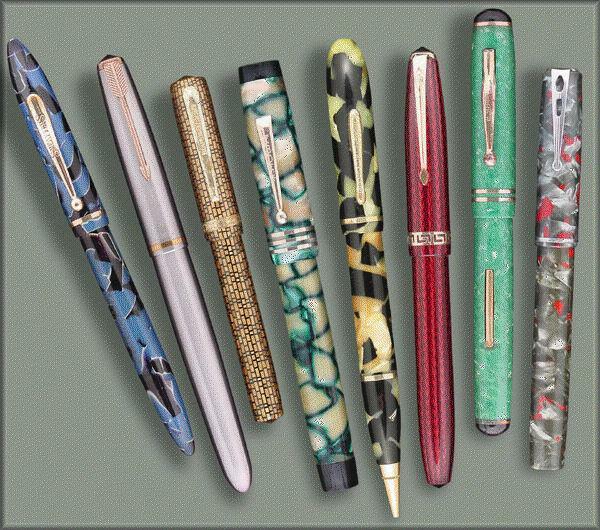 The Philadelphia Pen Collectors Group is on Facebook.